No, I’m not avoiding the Monday subject, which is supposed to be a report on how my writing week went. It’s just I don’t have a lot to report and bucket lists have been on my mind lately. 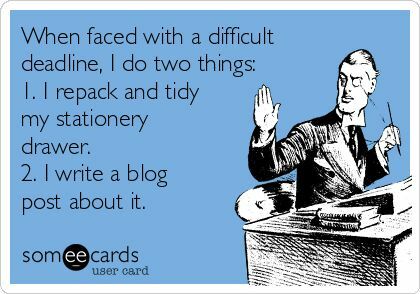 But just to get the writing stuff out of the way first...the week did not start out well, writing-wise. The hubby was on vacation, although he spent most of his time working around the house. But just having him home all day kind of threw me off my game and I spent more time reading than writing. I really struggled to write something for this month’s picture prompt, and when I didn’t have anything to post on Friday I ended up writing both a poem and a story for the weekly Brazen Snake Books prompts. You can find my story HERE, and you can see both my poem and Jamie’s HERE. It’s kind of freaky how we had similar ideas, although we didn’t see each other’s poems until they were done. Saturday I spent pretty much the whole day agonizing over my picture prompt before deciding my idea would work better as a poem. I really wanted to do a story for that picture, but it just wasn’t happening. 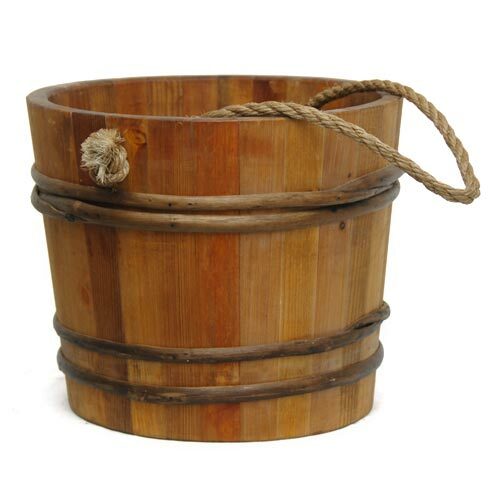 A bucket list, for those of you totally out of the loop, is a list of things you want to do before you die, or “kick the bucket.” It could be travelling to places, getting married, getting divorced, getting that dream job, running a marathon, making a million dollars ... you get the idea. I don’t have a bucket list, although there are oodles of things I’d like to do before I die. But as I said, I’ve been thinking about them a lot lately, and then I started making a list. I say a list, because I think it’ll have to be refined before it’s my official bucket list. In my case, I’ve come to the conclusion I’m going to need three lists: things I want to read; places I want to visit; and miscellaneous. And I’m putting a self-imposed limit of the top ten in each category. This will still give me a total of thirty items to work on. I did a Google search for ‘bucket list’ and wow, there was 115,000,000 results in 0.61 seconds! Unique Bucket List Ideas; 101 Things To Do Before You Die; 10,000 Things To Do Before You Die; 10,000+ Bucket List Ideas ... However, I only did the search for fun, I’m not going to waste time clicking on any of those likes. I figure if I can’t think of it myself, it doesn’t deserve to go on the list. Limiting myself to a total of thirty items on my list means I’m going to be thinking long and hard about what goes on there. Ideally they’ll be things I can actually do, and I’m not going to be including namby pamby things like losing 20 pounds or getting a tattoo (which I already have). I think the hard part will be limiting myself to just ten places I want to visit - I’ve always wanted to travel - and coming up with ten books I want to read - I’m a prolific reader so I’ve already read a lot. This might actually turn out to be a lot of fun! So... what’s on your bucket list? It seemed pretty simple - order on one side of the wall, disorder on the other. I had wanted to give it a bit of a twist so instead of the disorder encroaching on the order, I wanted the order to be the bad guy, so to speak. But try as I might I just could not make it work. So I started doing some research on chaos versus order. Most of what I found was regarding chaos and I began to play around with a few ideas just using chaos as a theme, but none of those really panned out either. And then I remembered my own caveat with these prompts - the result could be anything, as long as it was creative. For some reason my default seems to be prose, but since that wasn’t working I figured it was time to try something else. before there was anything else. a formless void, the gap between heaven and earth. so as to appear random. I am indefinite and indeterminate. moving upon the face of the waters. the primordial state before creation. all of the elements twisted together. I am the belief that is a magical force. to wall me in with your discipline and orderliness? there can be no harmony. Join me here again on Friday for a new picture prompt. Who knows, maybe you’ll find some inspiration as well. You're writing, you're coasting, and you're thinking, 'This is the best thing I've ever written, and it's coming so easily, and these characters are so great.' You put it aside for whatever reason, and you open it up a week later and the characters have turned to cardboard and the book has completely fallen apart. That's the moment of truth for every writer: Can I go on from here and make this book into something? I think it separates the writers from the nonwriters. 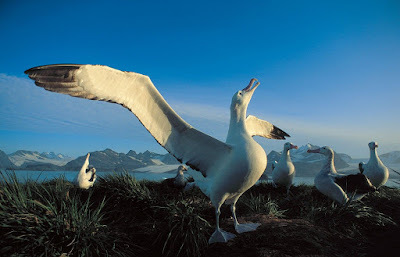 And I think it's the reason a lot of people have that unfinished manuscript around the house, that albatross. Don’t you hate when that happens? It starts out being the best story you’ve ever written, but eventually off come the rose coloured glasses and it’s not quite as great as you thought it was. In fact, it needs a lot of work. That’s where revision and editing come in. 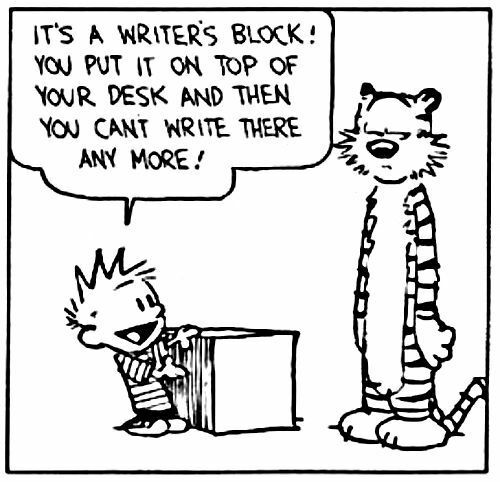 And to me, that’s what really separates the writers from the non-writers - the willingness to revise and edit. Nowadays it’s so easy to self publish a book that literally anyone can do it. But should they? Definitely not! Like most avid readers, I have an e-reader. In the beginning you just had to slap a FREE sticker on an e-book and I’d download it, but once I hit the 1,000 mark I became slightly more discriminating. I joined Book Bub and Amazon sends me a daily email offering several books for free or sale prices. Which is why I’m now at over 1700 unread electronic books. Tree books are guaranteed to be professionally done. They’ve been edited (and revised and edited some more) and formatted and printed via a traditional publisher. With e-books there’s no such guarantee. It’s so easy to self publish these days that many eager new writers (and a few that have been around long enough they should know better) jump the gun and publish the book before it’s ready. I can’t tell you how many books I’ve had to delete from my Kindle because what starts out as a promising story gets bogged down with poor formatting, lack of editing, and sloppy writing. 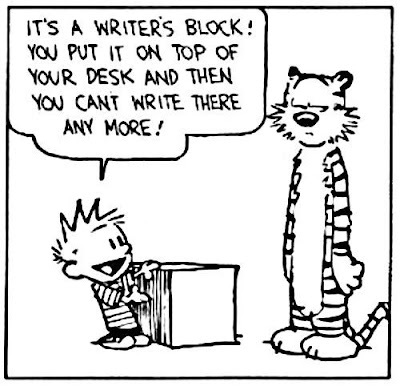 It’s not enough to finish that manuscript, writing is the easy part. It’s the revising and editing and polishing that is the real work. If you think you’re done after one draft, you’re seriously kidding yourself. I don’t care what your great Aunt Gertrude says. You need to set it aside and then revise and edit until that book is polished until it shines. And after setting it aside for a couple of weeks you realize maybe this book doesn’t quite live up to your expectations, there’s no shame in having an albatross or two on your hard drive. They don’t take up a lot of space, and maybe someday you’ll figure out a way to fix it. Or maybe you know how to fix it, and yeah, it’s going to take a lot of time and effort but trust me, it’s worth it in the long run both in terms of sales and readership. Just please, don’t let that albatross fly before it’s ready. This is a fairly new poem, written just a few weeks ago. I got the idea for it while, you guessed it, sitting on the pier sipping an iced coffee with a friend. The car was facing towards the beach and I made a comment about how nice it would be to sit under one of those trees to write. The reality is that it wouldn’t be that all that conducive to writing. It was a weekend and there were hoards of screaming kids everywhere. Plus I’d probably do more people watching and looking at the scenery than actual writing. However, you are not getting the picture I intended. The picture below is actually the second, second choice I made. The first one was another really cool picture, but the options for a story/poem were rather limited and I wasn’t sure there was a non-fiction option. It was a little abstract. 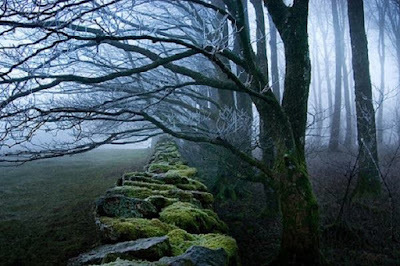 This picture almost tells a story by itself - the wild woods on one side, the tamed field on the other, the stone wall in between. Lots of possibilities here, don’t you think? Anyway, I hope it sparks some creative ideas in you. The idea is to write a story, poem, or a non-fiction piece inspired by the above picture. And I’d love to see what you come up with! So don’t be shy, you can send your creative endeavour to me at carolrward(at)gmail(dot)com and with your permission I can even post it here to share with others. You’ve got until the last Friday of the month to put your thinking caps on. This being the first Wednesday of the month, it’s time for a form! After much consideration, I chose the Paradelle. This form was invented by Billy Collins (who was the U.S. Poet Laureate at the time) as a parody of the Villanelle. He did it as a joke, claiming it was one of the more demanding French forms. The joke was on him when people took him seriously and began writing their own Paradelles. This form has four stanzas with six lines each. The first three stanzas have the following format: lines 1 and 2 are the same; lines 3 and 4 are the same; but lines 5 and 6 must contain all the words from the previous lines, using each word only once. And just to make things interesting, the fourth stanza uses all of the words from the previous stanzas, and again uses each word only once. Got that now? You’d think with all that repetition this would be an easy form, but it’s not. The last two lines of each stanza were bad, but nothing compared to the final stanza. Trying to fit all the words from the previous stanza without leaving any of them out is pretty tricky. If anyone out there would like a poetry challenge, I highly recommend the Paradelle. And I unashamedly admit that I did not create a new poem as an example, this is the one from my original poetry post. Take your place in the night rise, mortal. Embrace the realm, the time has come to. Your heart’s moon awaits with you. In your sky, has the velvet moon come? the world, swollen and full of the light. You, bathing in its soft ghostly night. Time to embrace the red vampire moon. I spend a lot of time on Facebook, not posting so much, just reading. And I’ve noticed a disturbing trend of late. People using old, perhaps relatively unknown, stories or poems and creating smarmy Facebook posts from them and riding on the coattails of someone else. Let me explain. “Look at me nurses, what do you see? The thing is, that poem was one of my mother’s favourites some 30 40 many years ago. It was actually written by a woman named Phyllis McCormack, who lived in Scotland, in the 1960s. I was rather appalled that this was being used to generate “likes” on Facebook and just how many people were buying into the idea that this was a recent occurrence. Just recently I watched a moving video account of a young man who was orphaned in the Philippines 30 years ago and was adopted by an Australian couple, and who was seized by the desire to find out what happened to his parents all those years ago. So he went to the city he was adopted from and found his birth mother. Sound familiar? If you’ve seen the movie Lion, or read the book, it should. A few days ago I watched what was supposed to be a video to inspire you to think of others. It told of a young married couple - she had long hair and he had a broken pocket watch. He sold his watch to buy her new combs for her hair, and comes home to discover she’s sold her hair to pay for the watch to be fixed. C’mon people, do you live under a rock that you’ve never heard of O. Henry’s feel good Christmas story called The Gift of the Magi? One of my all time favorites, it’s both touching and humorous. And I really resent the fact someone ripped it off for another smarmy Facebook post. They ought to be ashamed of themselves! There are lots more examples, but I think I’ve made my point. Between stuff like that and all the political stuff going on, I find myself going on Facebook less and less. And does anyone else find the way the internet keeps track of where you live and what you’ve been looking at creepy? The hubby and I were looking at ceiling panels for the kitchen and suddenly I keep getting ads for Home Depot popping up in my Facebook feed. Last week wasn’t exactly a stellar week writing wise, but it was certainly better than the week before. I got all of my blog posts done, some of them even posted on time, plus I did a story and a poem for the Brazen Snake Books weekly prompts, AND I managed to get a super short story done for my monthly picture prompt. But that was pretty much it because it was a holiday weekend and a busy one at that. And considering the wet, depressing week during which I was suffering from a sinus cold and migraines, I think I did pretty good. This week’s goal is to get my blog posts done, at least attempt the Brazen Snake prompts, and actually get some of those word things in on one or more of my current WIP. So tell me .... what are some of your pet peeves?